Your Job vs Your Mental Health – is the pressure at work causing your mental health to suffer? Last week a meme circulated across Facebook, Twitter, LinkedIn and a number of other social media sites – the meme said “Take care of you, because if you die today your job will be posted online before your obituary”. Whilst it is just a viral, social media meme the message behind the text is clear – don’t let work take over the rest of your life, because it simply isn’t the most important thing. For most of us a job is important and essential part of our lives; what provides a roof over our heads, food in our bellies and if we’re lucky a couple of holidays a year on top. Working, for the many, is unavoidable and every job in the world provides its own stress or pressure – however when that pressure begins to leave work with you, for example; keeping you awake at night or causing you to turn to alcohol after a long day, your work-related stress levels could be becoming unhealthy. Work-place stress is one of the biggest mental health conditions for adults in the UK. The Labour Force Survey for the year 2016-17 found that over half a million workers in the UK are currently suffering with work-related stress, depression or anxiety with 12.5 million sick days taken over the same period for the same reason. Whilst stress is present in most jobs a few industries report much higher stress, depression and anxiety levels than others. The three industries with the highest reported cases of work-related stress, depression and anxiety are; human health and social work, public administration and defense, and education. There are a number of different reasons why you might become stressed at work and for almost half of the UK work force, their workload is that reason. 44% of UK workers believe their workplace stress, anxiety or depression is because their workload exceeds what they feel capable of doing – often spilling into overtime, or keeping you awake at night as you worry about missing deadlines. 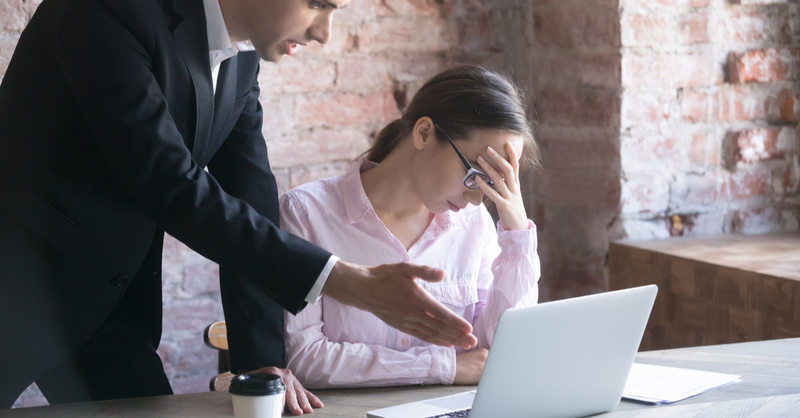 A further 14% of those believe their stress is down to lack of support in the work place, 13% believe it is down to work-place bullying, violence or threats and 8% down to changes at work. If you find yourself struggling with your mental health at work, there are a number of things you could try – that alongside professional therapy – could help you get back on track as soon as possible. Saying no to a boss is somehow one of the hardest things we have to do – whether we work a Saturday job in McDonald’s to fund our education, or we’re the branch manager for a large bank – keeping in our bosses’ good books often means saying “yes” more often than we would like, especially if you’re new to a position. When saying “yes” starts to mean missing your weekends at home, your children’s football games or your wife’s anniversary – it could be time to stop your work life from letting you enjoy your home life. Whilst big projects, launches or busy periods cannot always be avoided, when things aren’t as busy at work, make sure you don’t forget what is really important. 30 minutes of exercise just three times a week has a positive impact on your mental health – and there is no better time than in the middle of your work day. It can be all too easy to work through your lunch, however getting away from your desk, taking in some fresh air and even taking a walk could make all the difference. As the weather takes a turn for the worse it might not be the time to start taking lunch time strolls around the park, however when the weather is dry it could be the perfect thing. Working long hours can mean fitting in three meals a day is impossible and passing Greggs, Starbucks and McDonalds on your way into the office doesn’t make it easy to avoid grabbing something that doesn’t involve any prep time, any clean up and will keep you going until you reach for a bag of crisps and another coffee at 11. Having a good diet and avoiding highly processed foods and foods high in sugar and caffeine can help you to overcome mood swings and sugar crashes. Pre-prepare your meals for the week on a Sunday night at home, try to eat a balanced breakfast so you’re full before you leave the house and fill your office drawers with healthy snacks such as nuts or dried fruits to prevent you visiting the vending machine. A number of different mental health charities – including the charity Heads Together – are choosing to focus their efforts on mental health in the workplace. Hopefully this will further remove the stigma around mental health, as well as making it easier to discuss your needs with your bosses and work colleagues if you find yourself struggling. If you’re suffering with work-related depression, anxiety or stress and it’s starting to interfere with your life outside of work, it might be time to speak to a professional about your symptoms. Therapy is a great way to get back on track both in your day-to-day life and at work – helping you to learn to deal with different pressures and emotions and better handle the symptoms of stress. CBT is a great way to deal with work related mental health issues, the short-term treatment was created to assist with specific problems or issues – and is the most effective form of therapy for both depression and anxiety. With our new online therapy platform – which has been developed exclusively to deliver psychological therapy in a convenient and accessible way – you can enjoy the benefits of therapy from the comfort of your own home, office or even your car in your favourite beauty spot. Online therapy boasts a number of different benefits and for those with a busy and stressful work life, not having to change your schedule to be able to fit in therapy every week is probably the biggest – visit our online platform here.